Today, the first of June, marks the beginning of Pride Month. And while Pride Month now has more of a connotation of freedom and celebration to most, it actually has its roots in the revolutionary Stonewall Riots of June 1969. Ignited at the Stonewall Inn in Greenwich, New York, these riots sparked a fight for LGBTQ+ rights that still goes on today. For many queer/LGBTQ+ people, Pride Month is a month of commemorating, of remembering where we come from and recognising the way we still have to go. It’s also a time for celebration, for using our voices, for (re)connecting with our community, for rainbows and love. Especially for rainbows and love. One: The company has a notion of what Pride Month entails & genuinely cares for diversity and the LGBTQ+ community. For example: queer people are used to model in campaigns. Profits go towards LGBTQ+ rights organisations. LGBTQ+ people get involved in the process of creating the product/ad. The company raises awareness not only in the month of June but all year round. There’s lots of things that a company can do to make it feel like they actually care for the LGBTQ+/queer community, and not just for the money. Yes, dear companies, we know money plays a big part in all this. We might be queer but we’re not stupid. Two: The company completely misses the mark and adopts queer historical symbols that should not be profited of or commercialised, resulting in a painful rather than uplifting gesture. This corporational interest in Pride Month has evolved into a plethora of rainbow themed products around this time of year. The rainbow flag is the most visible symbol in the LGBTQ+ community and therefore, it is a sensible choice and a semi-safe bet. The rainbow is colourful and recognisable, and it doesn’t have too much of a heavy history. This year, Nike wanted to, who knows, shake things up by staying away from that rainbow but child, they shook the wrong way. In their “Nike Betrue 2018 Collection”, the company features four limited edition pairs of shoes. The colours we can get behind. A simple pink/blue combo, a little lavender (very important colours in the LGBTQ+ community), nothing too shocking. But then. Then it goes wrong. 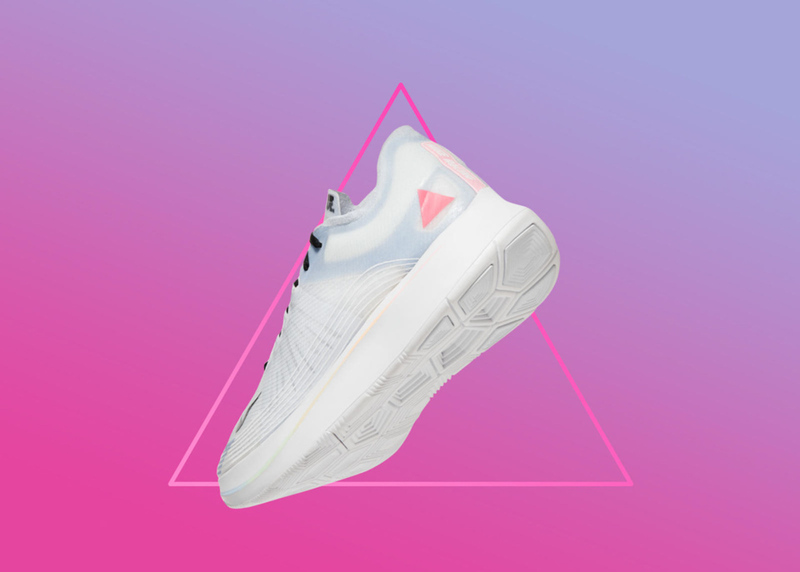 On two pairs of the collection, there is a pink triangle. Oh no, shoe didn’t. An upside down pink triangle was first used by the Nazi’s during World War 2 to shame and identify homosexuals. After that, several anti-gay groups used the inverted triangle to showcase their hatred towards the LGBTQ+ community. Throughout the seventies and eighties, LGBTQ+ and queer activists reclaimed the upside down pink triangle by putting it up right and turning it into a symbol of queer resilience, power and rights. 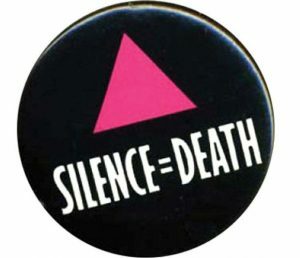 ACT UP NY, an organisation that is committed to bringing attention to and ending the AIDS crisis since the eighties, used the up right pink triangle in their iconic ‘Silence = Death’ campaign. And that’s exactly where the shoe pinches. To the majority of the queer community, the pink triangle is almost a sacred symbol. It is not a symbol that is accompanied by YAAAAS-ing like the rainbow flag. The pink triangle comes with rage in marches, with silence and sadness in commemorations, with cheers of power. It’s not a symbol that you get to gratuitously take in order to make some sales or seem openminded as a company. It is a symbol linked to pain, suffering and fighting. And commercialising on that fight, our fight? Smells like appropriation, guys. Not a smart move. ACT NY has called out Nike on Twitter already, and Nike responded with a “Let’s talk.” Yes, Nike, let’s. Appropriating symbols that aren’t yours to take for profit is cheap and painful, and it turns what could have been actually helpful and supportive into something ugly. Next time you or your brand want to engage with something you don’t know *that much* about, talk to people in the community beforehand. Talk to organisations and LGBTQ+ and queer activists. Work with us, lift us up, give our community the platform it deserves. That’s what Pride Month is about.